After binge-watching all seasons from Gilmore Girls this summer, I was still hungry for the simplicity and comfort of the show. 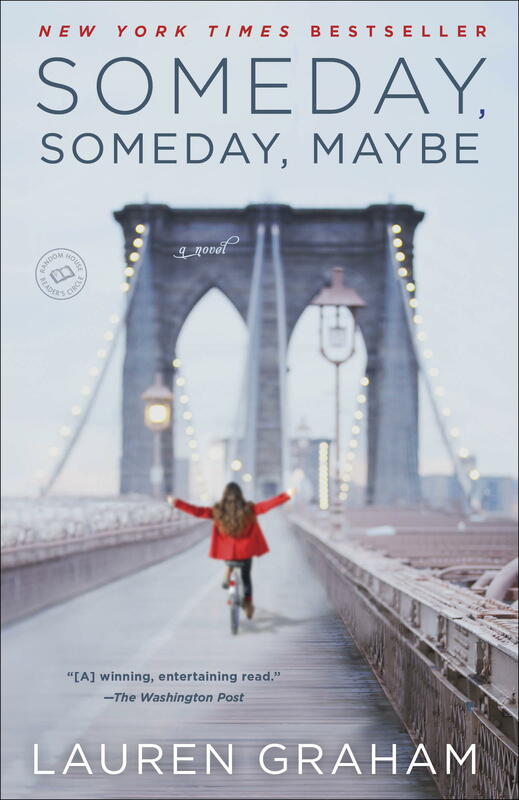 The logical next step, of course, was to read Lauren Graham’s debut novel: “Someday, Someday, Maybe”. It did not disappoint. Not only did it have me laughing in my morning commute, but it also made me cry happy tears (thankfully not in my morning commute). I absolutely loved being granted special access to Franny’s struggles and deepest thoughts. There was something so raw and special about seeing her fight to stay real, even when she was not aware of it. Lauren captured some truths about self-love and confidence that not too many feel comfortable sharing. We are all caught in the race of “Who is doing best?” or “Who is more successful?” that we rarely ever stop to think what does it all even mean. Franny was certain that everyone else was in on a “secret” that she had still to learn, when in reality, we all deal with the same issues, in one way or another. I must admit, sometimes I get really tired of pretending and I’m not ashamed to say it. We all do it at some point and it can be as simple as putting up a good face at a special event, when you’d rather be somewhere else. I also find it hard to believe that all women love waking up every morning and putting on makeup. I personally hate it, but we do what we have to do, right? Another element that I loved about the story was Lauren’s ability to transport us to New York in 1995. It was so refreshing to see how life was for everyone in this city I see everyday. No overpowering technologies or social media channels, more concrete plans, less distractions and more determination. Running into people on the street was always interesting, since you truly had no idea what they were up to unless someone told you. No social highlight reels thrown at your face to make you believe all of these fantasy lives wee see every time we scroll down. I want to keep reading real, simple, raw and uplifting books. They just help keep everything in perspective when your life gets so consumed on the little things that don’t always seem so little.